The Seniors had a strong win over Killyman on Sunday winning 5-15 to 0-5. Reserves had no game. No games are fixed for this weekend. The U16 Girls had a great victory in the preliminary round of the championship over Aghyaran, winning 8-10 to 2-6. They have qualified for the League final, info to be confrimed. Fun Day re-scheduled to this Saturday! Unfortunately, last week we had to cancel due to the weather. Thanks to those who went to great efforts baking cakes and fancy dress last week for the Fun Day. Lots of fun for all the family including inflatable fun and more. Fancy dress judging from 12.30, two age categories,u10 and over 10. Bonney baby judging will start at 1pm, three age categories, 0-6mths, 6-12 mths and 12months and over. Various races for all age groups will start at 2pm. “Great Beragh Bake Off” judging will start at 2pm. All pre baked cakes to be left at pitch for 2pm. Tea and cake for everyone will start at 3pm. Come along for a great day of fun. Admission £2 per child, £5 for 3 or more children. The tin whistle class will resume on Sunday2nd October at 12:30. These classes proved popular and successful over the past few years and we are delighted to have Laura Mc Sorley back on board to take this class. The class will be £3 each session. New starters are very welcome and we would suggest children be at least P2 age. We would like to test the feasibility of a fiddle class. Can anyone interested please come along to the tin whistle class on Sunday at 12:30. The ability to play a musical instrument is easy carried and gives children great confidence. Drama classes will resume on Monday 3rd October. These classes were very well attended last year and we are glad to have Paul Kelly back. All drama classes will cost £20 for 5 weeks. The cost of the first 5 weeks (4th October to 1st November) will be collected on Monday. Class one will be for P2, P3 and P4 children and the class will be from 6pm to 7pm. Class two will be for P5, P6 and P7 children and the class will be from 7pm to 8pm. 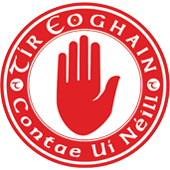 Scór is one of the core codes of the GAA and competition is run at County, Provincial and National level. We will be entering teams at all levels from now on. Scór na nÓg is for children under 17 on 1/1/2017. Additional drama classes will be held to properly prepare our people competing for the pride of our Club. Four star lotto, Jackpot – £2,650! The numbers drawn in this week’s Four Star Lotto draw were 18, 21, 24 and 25. Ciaran Donnelly matched 3 numbers and wins £50. Next draw will take place on Sunday at 10pm in Heaneys. Jackpot – £2,650. Lotto helper is Noel Franey. There is a free CPR training being delivered through Mid Ulster District Council as part of “Restart a Heart Day” which is being held on 18th October. Those interested should confirm their attendance by Friday 30th September 2016. Registration details are outlined in the poster below. Contact Patsy Farley as soon as possible on 07879 416946 if you wish to register. To support the NSPCC’s Parent’s in Sport Week, Ulster GAA are asking all GAA Parents to become “Super #SportsParents!”. 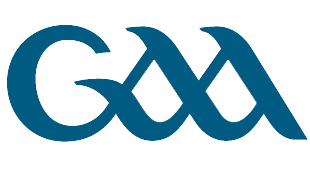 The campaign, titled “Save our Smiles” is aimed at creating a Fun and Positive environment for our young GAA Players, specifically it focuses on how parents can help create this environment. Parents are encouraged to get involved in two ways, What to say after a match and Sideline Behaviour. Posters will be distributed throughout the pavilion and we encourage everyone to support the campaign. On cleaning rota from this Saturday are Dan McSorley, Ryan O’Keefe, Tina Grimes, & Roisin McSorley. Brian McCartan is on Pavilion duty for the week beginning Sept 1st.